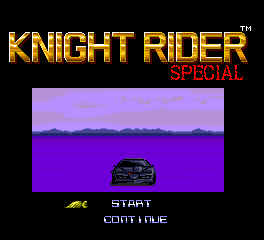 Knight Rider Special is a racing game for the Turbografx-16. 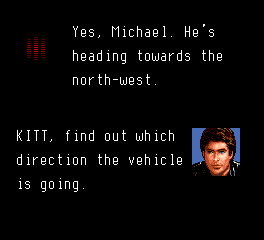 This is a 100% English translation of Knight Rider Special for the PC Engine (TurboGrafx-16). It replaces the previous v1.0 translation by the same author. 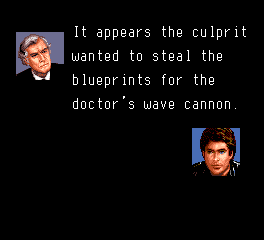 The only things left untranslated are the voice samples. Included are patches for both headered and non-headered ROMs.